Neville Garrick: ‘Survival is probably my favourite cover. That was the first album Bob did when he built his studio, Tuff Gong. The album was going to be called Black Survival, but in discussing it, we felt that it might alienate some people who weren’t Black. So I tried to come up with a visual way of saying Black without using the word. The idea of flags came up, so I got information about all the flags of free Black Africa and then I painted them, using construction paper, and made all those flags so I could get the real colour, real flat colours. I made it about twice the size of an album cover, about 24in by 24in, so that when we reduced it down, it would be really tight. Neville Garrick was speaking to Chris Morrow. 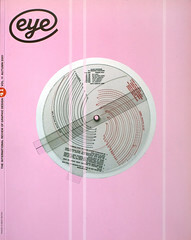 See ‘Reputations: Neville Garrick’ in Eye 41. 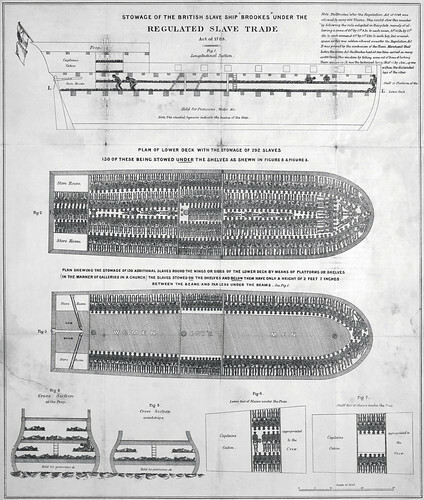 Diagram of the Liverpool slave ship Brookes, first published in 1788. A detail of Brookes was used behind ‘SURVIVAL’ on the album sleeve. 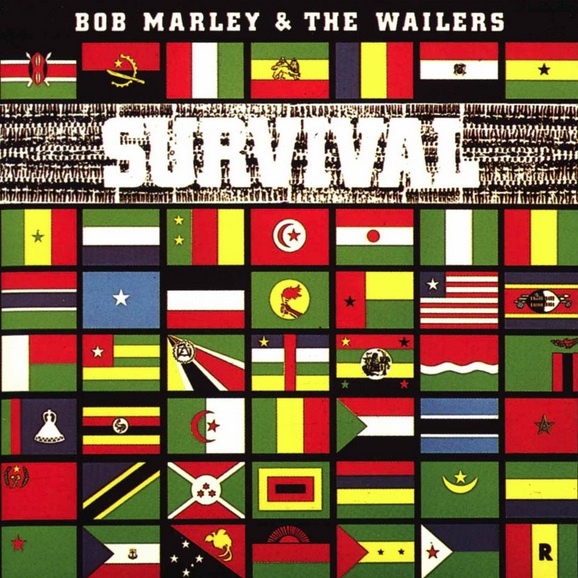 Top: Vinyl album sleeve for Survival, Bob Marley & the Wailers, Island Records, 1979. Design: Neville Garrick.